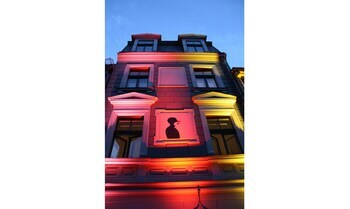 Expedia can help you save heaps with Riga travel packages. 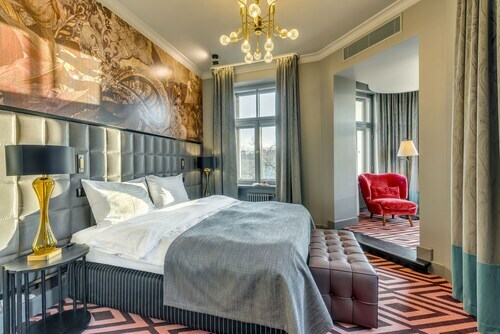 With all that extra cash in the bank, you might even like to book a few additional nights. Up to 15%* can be saved when you arrange your package deal on Expedia. Our impressive database allows you to browse more than 321,000 properties worldwide and 400 partner airlines. With such a terrific range of options, arranging your dream holiday will be a piece of cake! Feel free to cancel or make changes to almost any booking and you won't have to pay a cancellation fee to us. We've got all the latest sightseeing tips for your upcoming trip to Riga. Grab your travel organizer and prepare to start padding out that itinerary. You'll find yourself surrounded by amazing sights, like Three Brothers and St. Peter's Church. If you want to squeeze the most out of your visit, be sure to check out St John's Church and Riga Castle. Freedom Monument offers a respite for reflection and solitude. Learn about the importance of this monument and find out more about when, how and why it was erected. There's a great range of things to do in this destination. Looming large in the skyline, Powder Tower is difficult to miss. Stand beneath it, tilt your head back and appreciate this proud old structure. Still have time to spare? Check the Sunday Mass times at Riga Cathedral. When you're there, why not take a few minutes to sit and partake in a bit of quiet reflection. Holidaying isn't just about ticking off destinations on a map. It's about the friends we make and the experiences we have along the way! 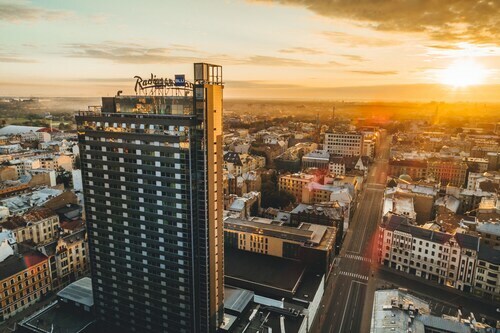 For a complete list of activities, check out the Riga things to do page. 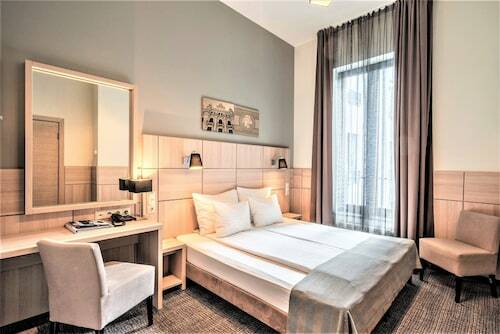 Get a running start on your Riga holiday itinerary by securing somewhere to stay. There are 99 accommodations in the nation's capital that can be booked on Expedia. We have luxury getaways and cheap holidays for all kinds of travellers. 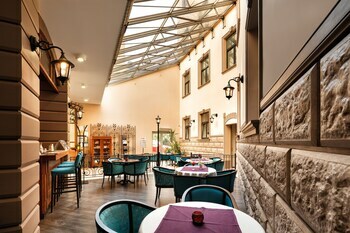 The Dome Hotel & SPA - Relais & Châteaux (4 Miesnieku Street) and the Gallery Park Hotel & SPA, a Châteaux & Hôtels Collection (Kr. 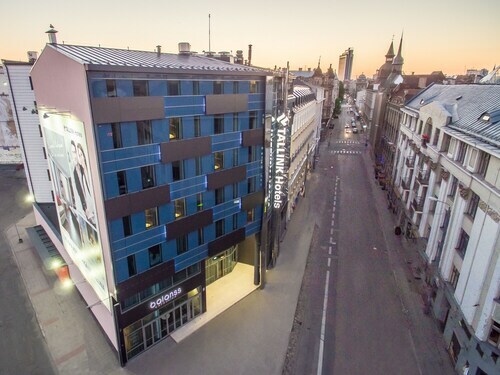 Valdemara Street 7) are two of the higher-ranking options in Riga. Stay at either and you're bound to have the best guest services in town. If you'd rather spend your hard-earned cash on things like hair-raising adventures and wild nightlife, why not investigate some of our cheaper options? 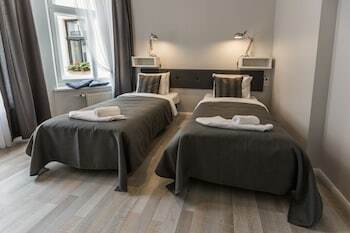 The Motel Autosole (Ernestines iela 33) and the Central Park Hostel (Elizabetes Iela 103-1) are a couple of recommended ones. Riga International Airport (RIX) is the starting point for most visitors heading on a trip to Riga. It's located 5 miles (8 km) from the town centre. Gaze in awe at the art nouveau mansions that decorate this regal city center street and visit a museum with exhibits about this architectural style. Located in Old Town, this luxury hotel is within a 10-minute walk of St John's Church, St. Peter's Church and Great Guild Hall. Freedom Monument and Powder Tower are also within 10 minutes. Riga Central Station is 7 minutes by foot and Riga Passajirskaia Station is 9 minutes. 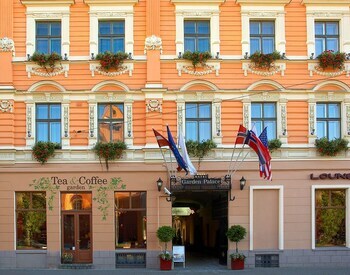 Located in Old Town, this luxury hotel is steps away from Latvian National Opera, Laima Clock and St John's Church. Cathedral Square and Riga Castle are also within 10 minutes. Riga Central Station is 9 minutes by foot and Riga Passajirskaia Station is 12 minutes. 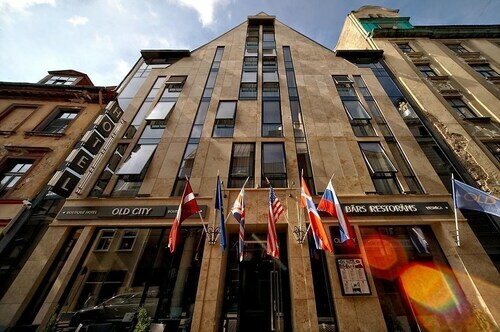 Located in Old Town, this spa hotel is within a 10-minute walk of St John's Church and Riga Central Market. Menzendorff House and Latvian National Opera are also within 5 minutes. Riga Central Station is 9 minutes by foot and Riga Passajirskaia Station is 11 minutes. 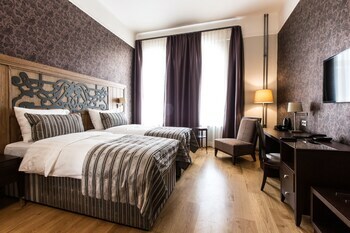 Located in Centrs, this luxury hotel is within 1 mile (2 km) of Cathedral of Christ's Nativity and Riga Central Market. Esplanade Park and Latvian Art Museum are also within 5 minutes. Riga Central Station is 12 minutes by foot and Riga Passajirskaia Station is 18 minutes. 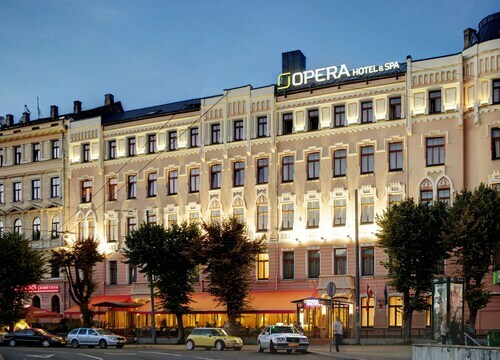 Located in Centrs, this spa hotel is within a 10-minute walk of Latvian National Opera and Riga Central Market. Berg's Bazaar and Freedom Monument are also within 10 minutes. Riga Central Station is only a 3-minute walk and Riga Passajirskaia Station is 7 minutes. 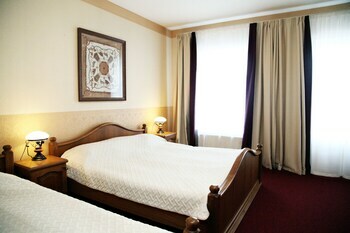 Located in Centrs, this hotel is within a 15-minute walk of Berg's Bazaar and Riga Central Market. Palladium and Latvian National Opera are also within 15 minutes. 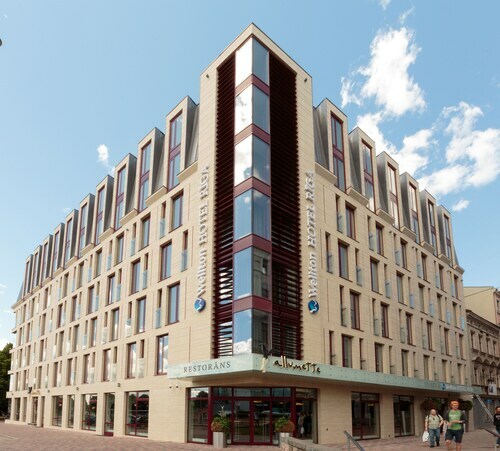 Riga Central Station is only a 3-minute walk and Riga Passajirskaia Station is 10 minutes. 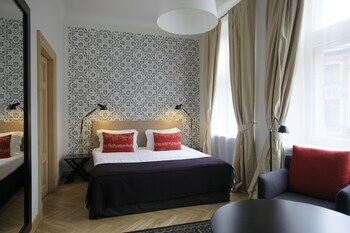 Located in Centrs, this luxury hotel is within a 15-minute walk of Bastion Hill and Riga Central Market. Esplanade Park and Freedom Monument are also within 5 minutes. Riga Central Station is 13 minutes by foot and Riga Passajirskaia Station is 16 minutes. 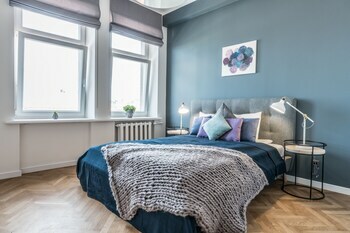 Located in Kurzeme District, this luxury hotel is 0.6 mi (1 km) from Uzvaras Park and 1.9 mi (3.1 km) from Riga Central Market. Golden Bowling Center and Latvian Railway History Museum are also within 1 mile (2 km). LON-All Airports - Riga Intl. Robin Hood - Riga Intl.